PORTSMOUTH, N.H., October 10, 2018 — 3S Artspace announces the first annual Form + Function Artisan Fair at 3S Artspace, November 17 and 18. Featuring a showcase of hand-crafted work by over 25 artisans and makers from the Seacoast and beyond, Form + Function will transform the Gallery, Performance Space, and lobby at 3S Artspace into a holiday shopping marketplace of one-of-a-kind finds. “You’re going to be treated to artisans and makers, some of whom have never visited the Seacoast right alongside the regional standouts. These makers have been ripping up and down 95 showing their work and now we’re giving them a reason to pull off at the Portsmouth exit and come to Form + Function at 3S Artspace,” said Laura Cleminson, owner of Hoist Away Bags and vendor at Form + Function. Visitors can browse and shop for the gift-giving season in booths with carefully curated items such as textiles, housewares, jewelry, metal-work, accessories, ceramics and prints. To add to the festive atmosphere, expect live local music and a cash bar in this fun, family friendly two-day event. Form + Function is free and open to the public. 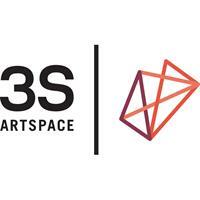 “The best way to support artists is to buy their unique work and that’s what Form + Function is all about-- whether it’s a gift for the holidays or even a gift for yourself,” said Beth Falconer, Executive Director of 3S Artspace.